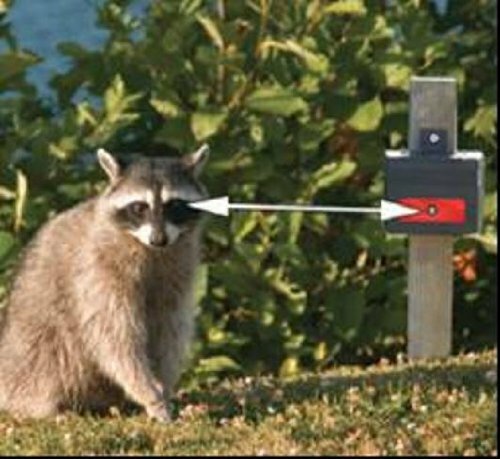 A constant flash of light to all animals that hunt or feed at night that they have been “discovered” or are being watched. Solar Powered Nite Guard Solar uses sunlight or daylight to charge. No batteries are ever needed. It will continue to activate during long periods of cloudiness. 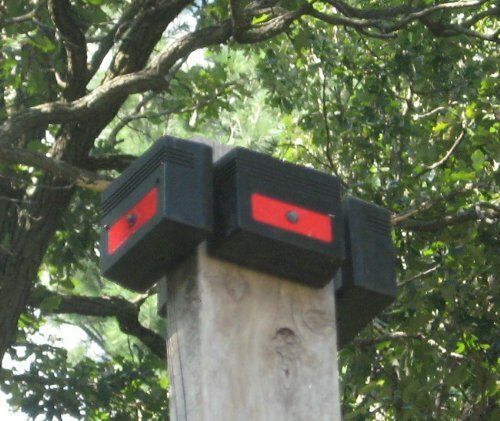 The powerful flash of red light produced from this LED system will automatically activate at dusk and will force all night animals to flee the area. 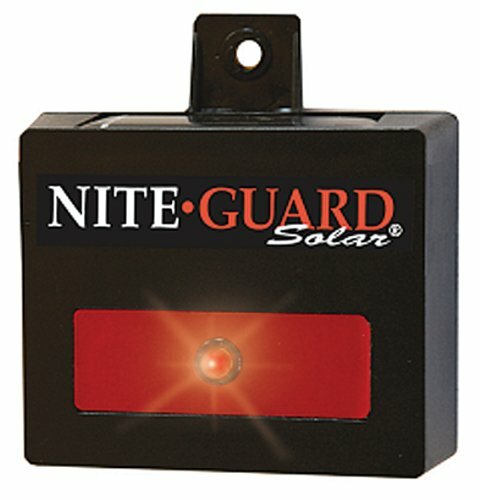 Based on scientific research, Nite Guard Solar emits a flash of light implying to all animals that hunt or feed at night that they have been “discovered” or are being watched. This is their deepest fear and forces them to flee the area. A simple, but effective concept. 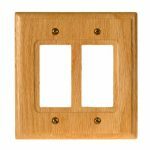 Automatically turns on at dusk and off at full daylight. This weatherproof unit will last approximately 3-4 years. 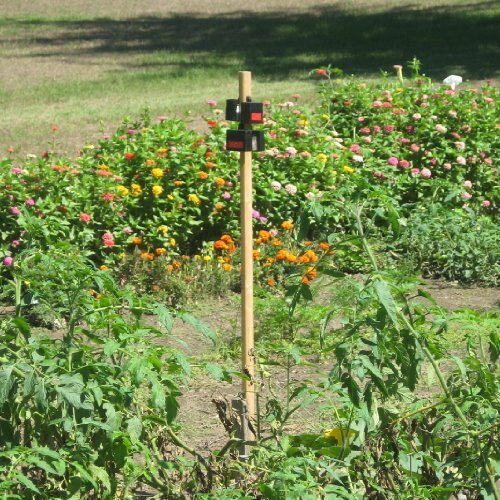 Use the Nite Guard Solar to protect poultry and livestock against coyote, fox, bear, mountain lion, wolf, bobcat, owls, hawks, mink, weasel, and skunks, gardens (flowers, vegetable), orchards, vineyards against deer and raccoon, bird feeders, purple martin houses, fish ponds against raccoon, hawks, owls, blue heron, and bear, campsites, cabins, and property against bear, raccoon, mountain lion and even human intruders. 60-day money back guarantee, 1-year limited warranty. 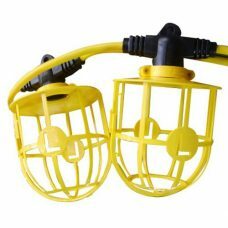 Mount the lights at eye level of the animal to be stopped and face it away from the area to be protected. 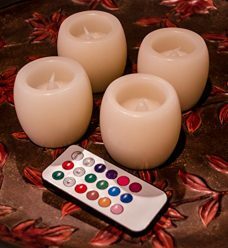 One to four lights will be required depending upon your application. 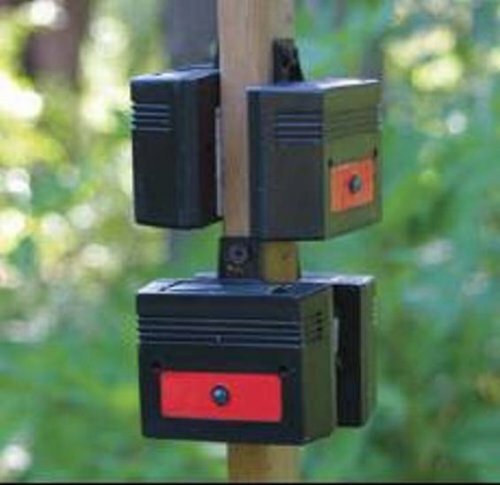 It not motion activated but will flash automatically from dusk through dawn so night animals are stopped at long distances (500 yards or more) away. They do not come in to investigate but see the flash as a threat the instant they are aware of it. Maintenance Free: Nite Guard Solar is completely weatherproof and will continue to function or years under extreme weather conditions. 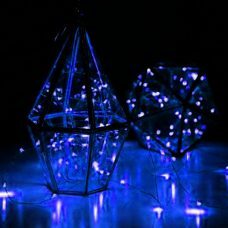 Blistering heat, below zero temperatures, rain, ice, snow and blowing dust/grime will not compromise the nightly function of this product.